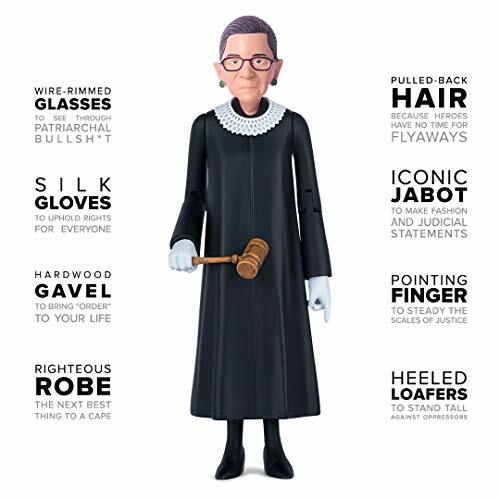 FEATURES: Heeled loafters to stand tall against oppressors, iconic jabot to make fasion and judicial statement, pointing finger to hold steady the scales of justice, a righteous robe (the next best thing to a cape) and more! 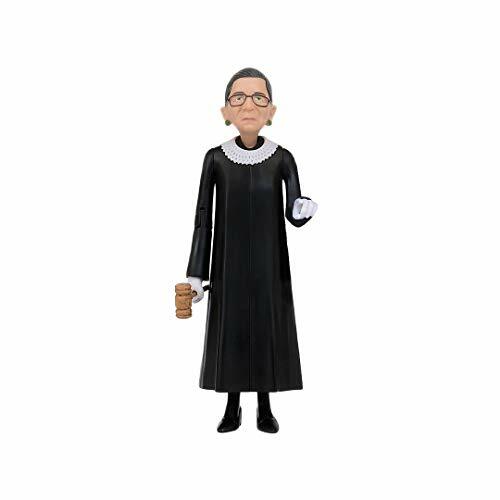 6 INCHES TALL: The RBG Action Figure is a perfect size for all uses; whether you want to keep RBG on your desk for all to see or bring her out on adventures! 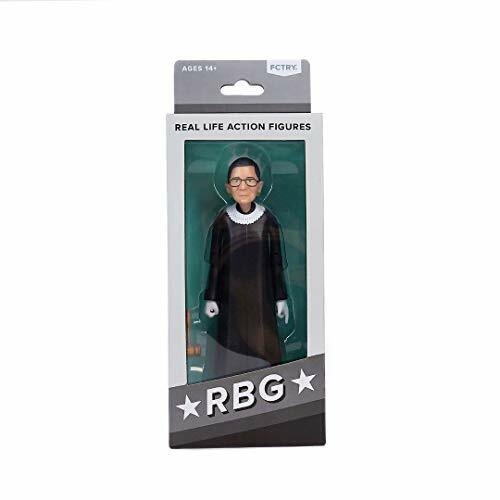 PICTURE PERFECT: You are going to want to shoot pictures of her, so we designed the RBG Action Figure with that in mind. 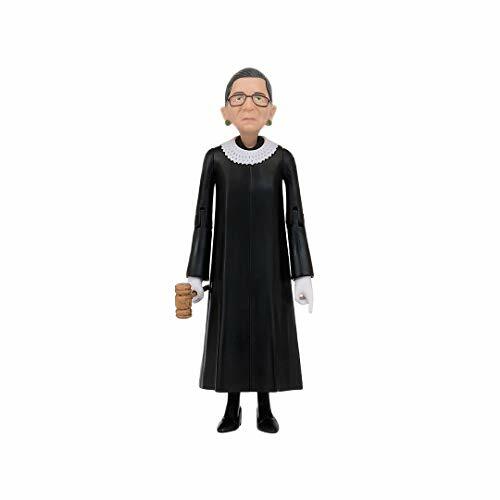 She has a picture perfect expression, stands on any flat surface, and can be posed for any occasion. 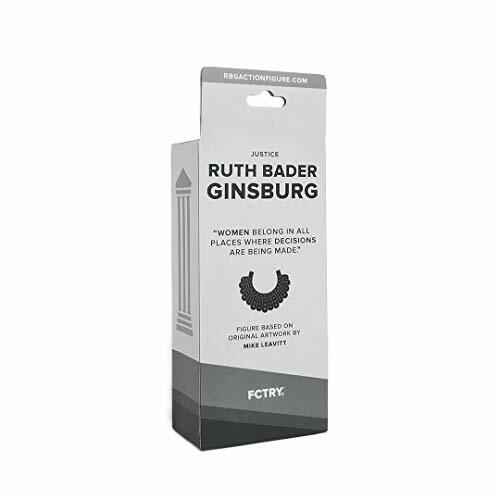 OPEN THE BOX: No need to worry about whether or not to open the packaging. 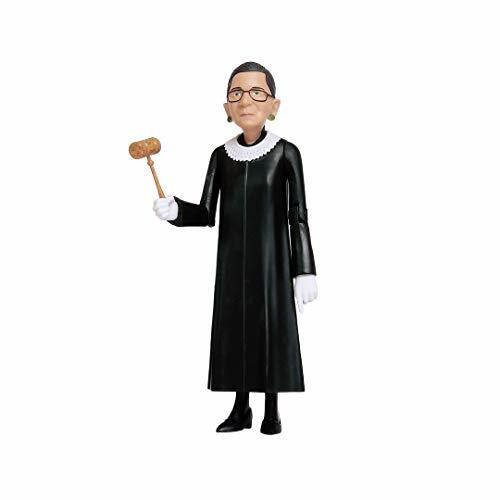 We've designed it to insure that you can easily take the figure in and out of the display box without ruining its mint condition.